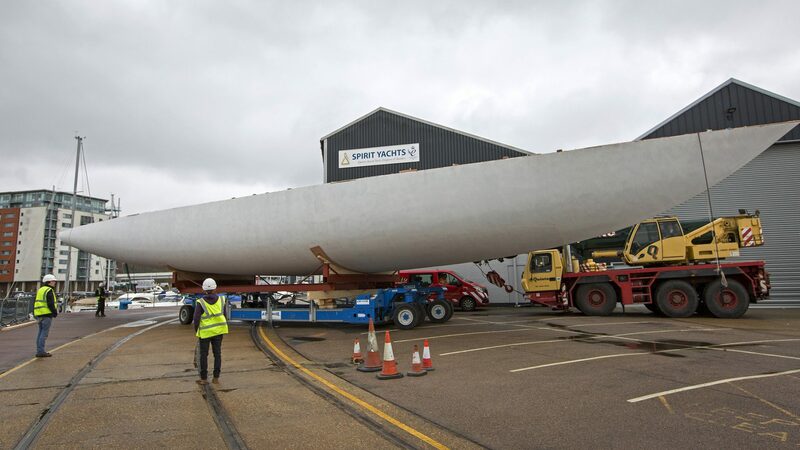 It has been an exciting week at the Spirit yard as the Spirit 111’ reached a significant milestone in her build with her historic hull rollover. 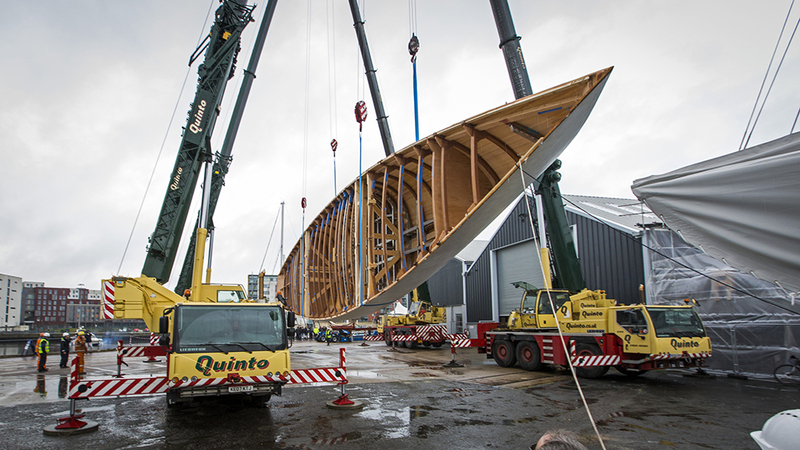 As one of the largest single-masted wooden yachts to be built since the 1930’s, at 34m long and with a beam of 6.4m, the Spirit 111’ was the biggest rollover we have ever undertaken. 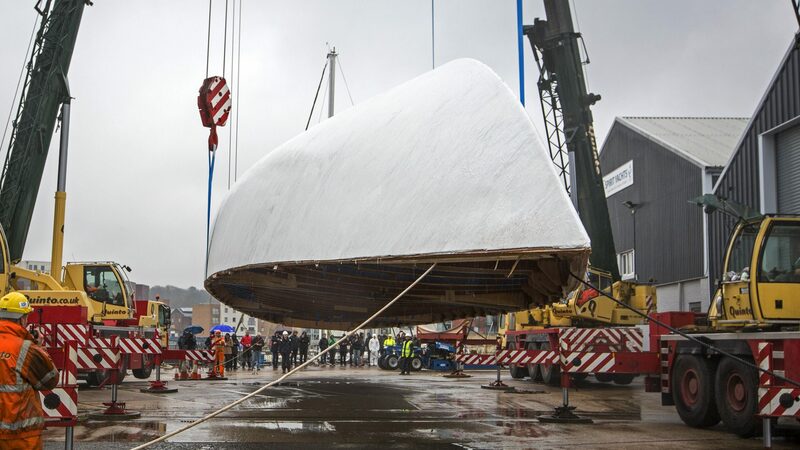 Removed from its ‘strongback’ and brought out of the yard the day before, our specialist team orchestrated a two day operation with the utmost precision to turn her recently completed hull over. She was lifted and rotated in the air using four cranes on a wet February day, but with wind speeds relatively low, we were able to undertake the rollover safely and successfully in half an hour. The construction of the 111’s hull began with the build of laminated wooden ring frames along with a duplex stainless-steel central reinforcement cage. This was placed upside down onto a timber strongback before the centreline structure and beamshelves were fitted. The fore and aft planking was then bonded to the ringframes followed by quadruple-diagonal veneers, which were epoxy-bonded at 45° under vacuum before the hull was finally covered with an epoxy glass sheath. With the launch set for 2019, the elegant, sloop-rigged superyacht will feature unmatched eco credentials throughout the yacht’s systems from the air conditioning, galley equipment, generators and water heaters to the innovative electric drive system. 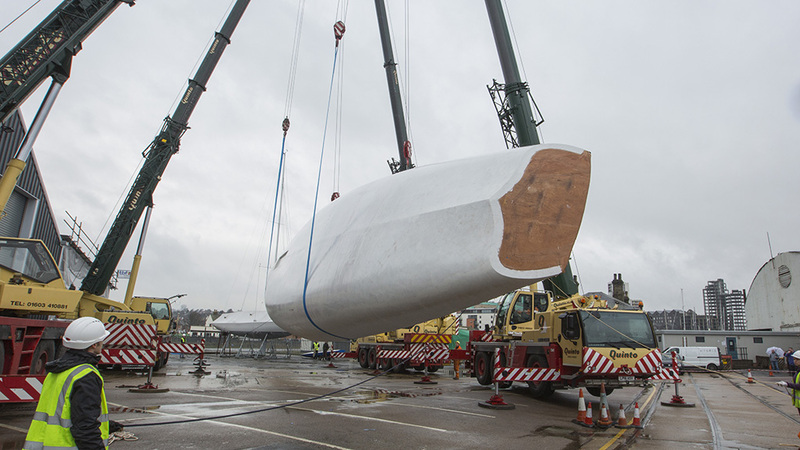 This yacht will be set up to consume the lowest amount of power possible. The 111’ will also be capable of sailing without a professional crew due to her pioneering deck arrangement. Now that the hull is settled the right way and safely back inside the workshop, our world class team of boat builders are excited to start work to create her complex interior. Keep an eye on our website for more news on this exceptional superyacht.